Newer laminate floors in kitchen, entry and laundry room.Newly painted white cabinets in kitchen and new curtains.New paint in bathroom.Newer lighting fixtures in kitchen, hallway and bathroom.Newer washing machine.Lattice on patio railing for childproofing approved by HOA. Sunshine throughout all day long.Newer furnace.Newer kitchen faucet,bathroom floor and garbage disposal.Walking distance to Kaiser, and just a short walk to bike paths and parks makes this home perfect for the outdoor enthusiast! 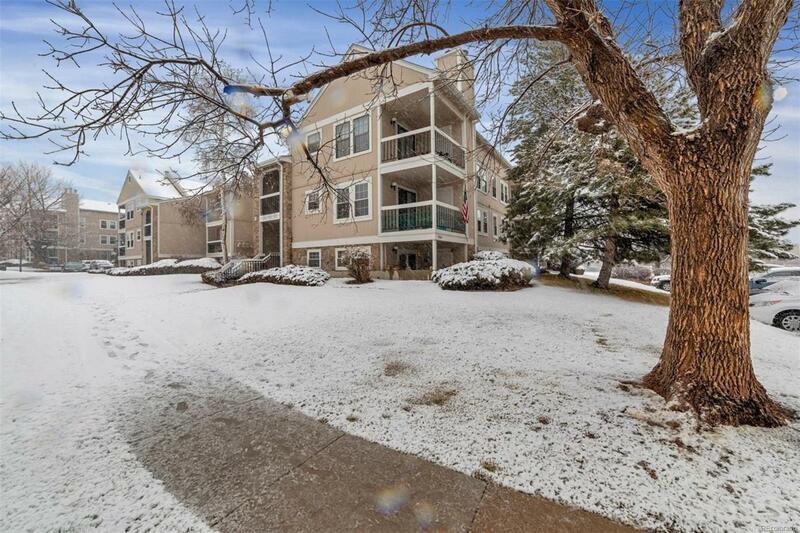 Great Arvada location close to light rail and Regis University, quiet neighborhood, low HOA fees, and great amenities including a community pool make this a must see! Just FYI second bath is a sink located by the dressing area. Seller replaced windows approx 10 years ago.New blinds in bedrooms.